Are Elected Officials Listening to Chronic Pain Patients?- Pain News - Pain.dieutridau.com - All for Pain Relief ! When you write your elected officials and public representatives, you expect an answer. But as of yet, our March 20, 2015, letter to Montana U.S. Senators Tester and Daines, U.S. Representative Zinke, Governor Bullock – and the Montana Board of Medical Examiners has gone unanswered. And that’s a shame because Montana is facing a serious public health crisis—chronic pain patients are being underserved. There is a war on chronic pain patients. There is war on physicians who prescribe. Ask Dr. Mark Ibsen of Helena. He’s become a surrogate target on the war on opioids which is actually the war on chronic pain patients. Montana is a great place to live, work and play for those who are healthy. However, Montana has a chronic pain problem. Experienced patient advocates also know that Montana has a harmed patient problem, especially when it comes to failed backs. Back pain is a leading cause of disability, despite billions of U.S. dollars poured into interventional pain procedures. How back pain is overtreated is what we want to talk about. The numbers of epidural steroid injections (ESIs) continue to increase, and now approximately 9 million are administered annually in the U.S.
We suffer adhesive arachnoiditis caused by misplaced steroids in our spines. Gary was a successful businessman who worked in the construction trades, and Terri was a civil engineer with experience in both the federal and private sector. Now, we both advocate for arachnoiditis survivors. We carry forward our message on prevention through a grassroots movement, Arachnoiditis Society for Awareness and Prevention. We made the difficult trip back to FDA headquarters in Maryland to testify on the dangers of corticosteroids used to treat back pain. 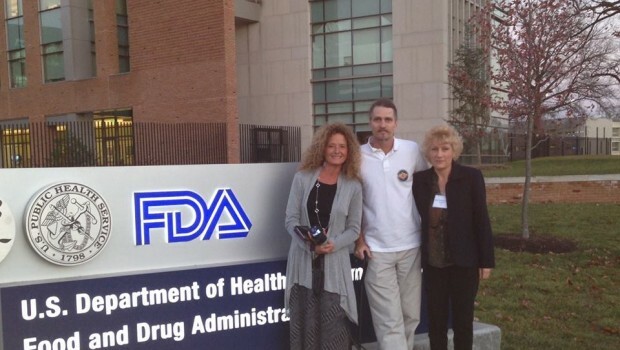 Other arachnoiditis survivors (including Walt Davis and Rhonda Posey) attended the Nov. 24, 2014 open public hearing. Family members also testified on behalf of their loved one who they lost to arachnoiditis hell and suicide. At the hearing, we learned that Montanans undergo relatively high numbers of spinal surgeries and ESIs for back pain. An estimated 100 million Americans suffer from chronic pain conditions. The problem is growing despite the billions of dollars spent on intervention. We strongly believe that patient harm is a significant factor contributing to this pandemic, and driving up the demand for opioid consumption in the U.S.
We ask: “Why isn’t Congress all over this?” The model to treat chronic pain is failing the consumer. Honored Veterans are joining our ranks as they also suffer various chronic pain conditions. The draft release of the National Pain Strategy by the NIH maybe can help spur a great discussion on pain. To date, we have not received a response to our letter in support of Ibsen and his pain patients. Pain patients will carry great collective power if we unite and stand behind a worthy cause. We found a worthy cause in Dr. Ibsen as we intersected at the cross roads of patient harm and the war on chronic pain patients. This momentum is destined to take us in a new direction. We have put our elected officials and state regulators on notice. And we await their answer.